Welcoming a newborn is truly exciting and the news can bring anyone joy whether it is a close friend or a family member that just gave birth to a healthy baby. However, before you quickly get your car keys and rush to the hospital, you might want to know the do’s and dont’s when visiting a newborn and the new mother first. So, why not read these helpful tips and reminders on the basics of visiting a newborn etiquette! 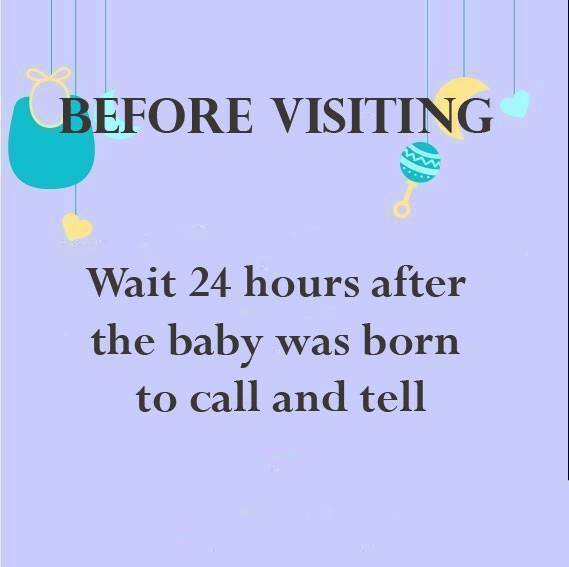 Wait at least 24 hours after the baby was born to call the new parents. Labour is stressful and tiring for the mother and the baby. In the first 24 hours after the labour, the mother would need a proper rest and sleep so refrain yourself from calling the new parents during this period. This is also to give the new parents some respect and privacy to enjoy the joyous moment in private. Strong scents like perfume and cigarette smoke can be irritating and hazardous to both the newborn and the new mother. As newborns’ immunity system is particularly weak and not fully developed yet, the traces of the tobacco smoke can be fatal to them. 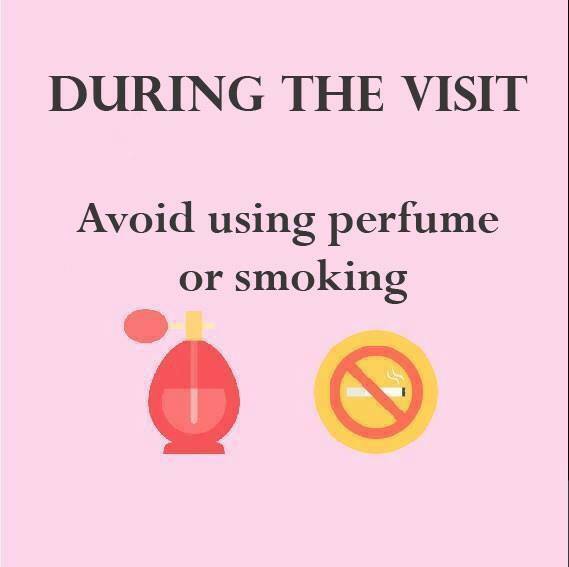 Not to mention how it can be dangerous to the adults as well so avoid smoking whenever you want to pay someone a visit at the hospital especially if you are visiting a newborn baby. 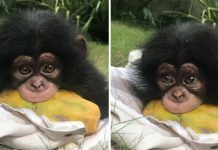 It is a common courtesy to ask anyone before taking their picture so do not forget to ask for their permission if you wish to take photos of their newborn regardless how close you are with the new parents. 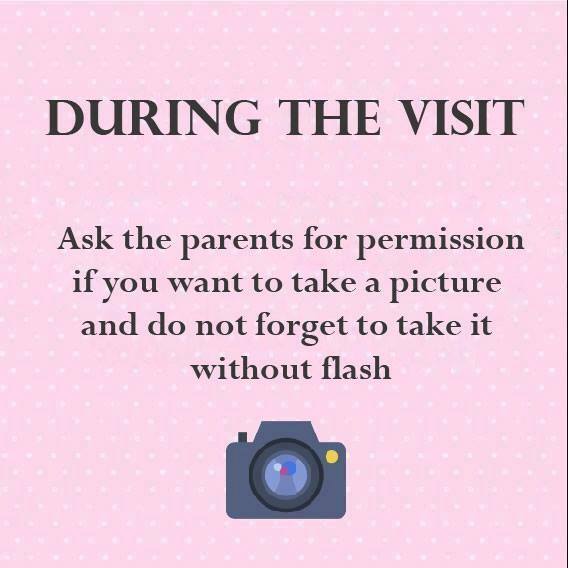 Most importantly, turn off your camera flash when you want to take the newborn picture as the flash is dangerous for baby’s eyes. 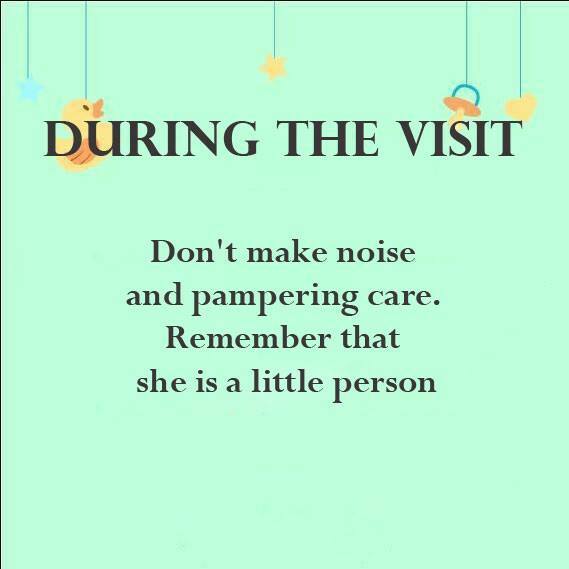 Respect the new parents and other patients by not making noise and talking in a loud voice as it can be bothersome to them. Leave the room when the mother needs to feed her newborn baby to allow the mother and the baby to have their special first breastfeeding moment. Also, there are some people who are not comfortable to breastfeed their baby in the presence of others so it is best to leave the room to give the new mother some privacy. Do not overstay your visit to allow the new mother to have quality and plenty of rest unless your presence is needed by the new mother. This is crucial as you are not supposed to visit newborns and young children if you are sick. 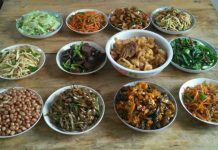 As their immune system is not fully developed, they are susceptible to bacterial and viral infections. 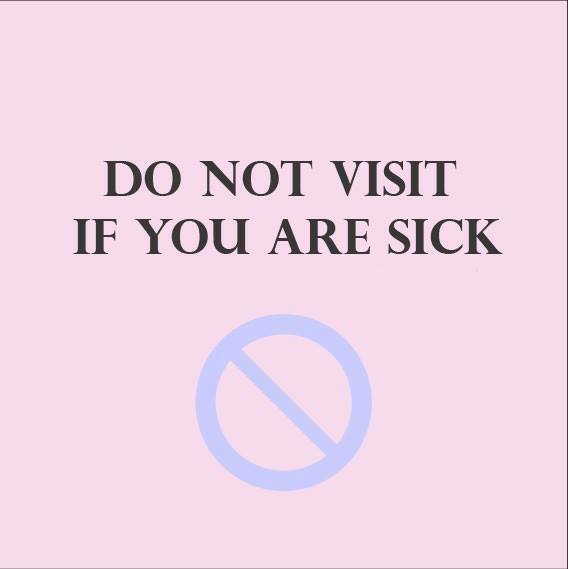 Even if it is mild cold or fever, wait until you recover from the illness before paying a visit. 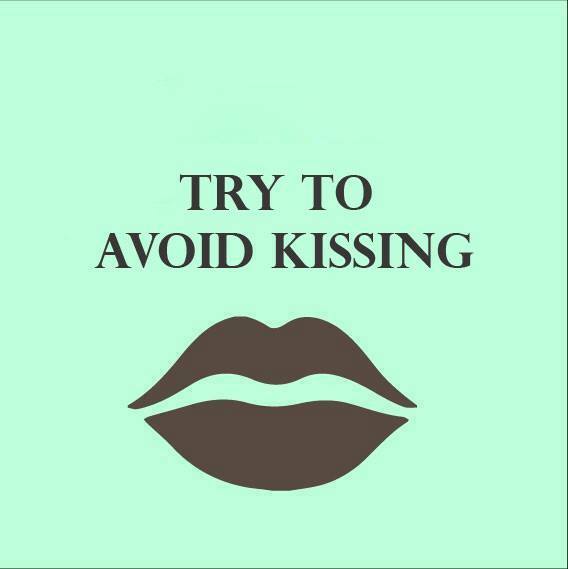 We know that newborns are totally adorable but refrain yourself from kissing them as this can expose the newborns to unwanted infections and diseases. 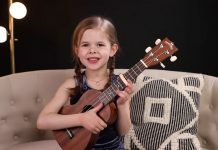 It is not hard to follow these tips and reminders the next time you wish to visit your friends or relatives who just gave birth to their newborn. 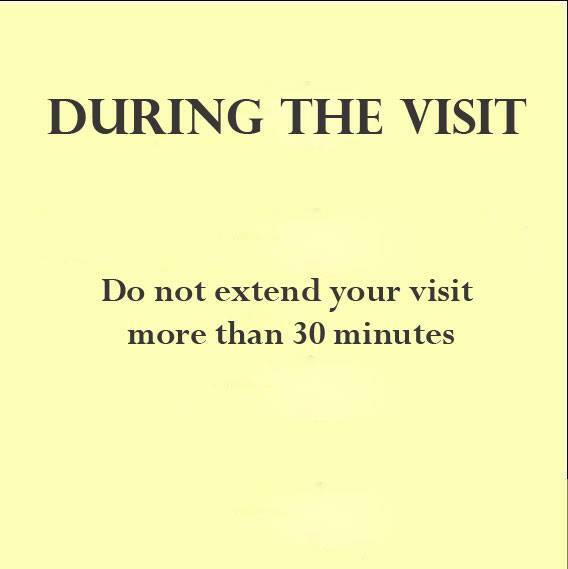 These reminders are also applicable if you want to pay someone who is not well a visit. The new parents would appreciate your thoughtfulness and manners for giving them privacy and respect. Previous article15+ hilarious photos show when people try to fool others and end up with epic fails!